The decorations on the Bauta 'Betty 4' play with the contrast between white and black. A very elegant Venetian mask style, it is often the first choice as a Venetian mask for men. 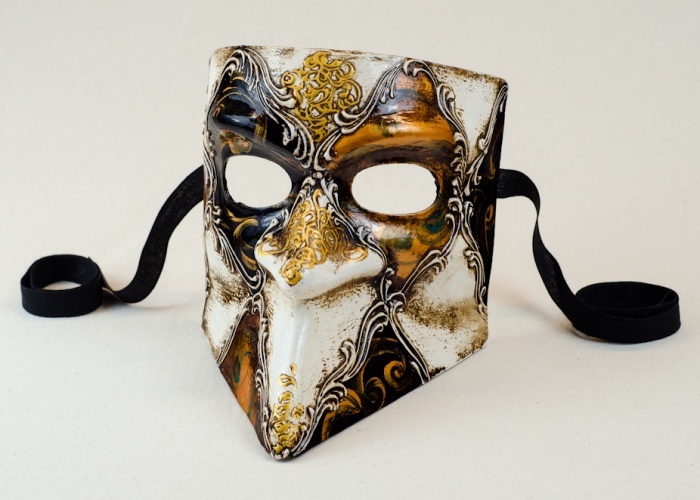 Notice the bitumen of Judea which gives this special Venetian mask an aged effect.